Cognitive radio is an emerging technology that is considered to be an evolution for software device radio in which cognition and decision-making components are included. The main function of cognitive radio is to exploit “spectrum holes” or “white spaces” to address the challenge of the low utilization of radio resources. Dynamic spectrum allocation, whose significant functions are to ensure that cognitive users access the available frequency and bandwidth to communicate in an opportunistic manner and to minimize the interference between primary and secondary users, is a key mechanism in cognitive radio networks. Reinforcement learning, which rapidly analyzes the amount of data in a model-free manner, dramatically facilitates the performance of dynamic spectrum allocation in real application scenarios. 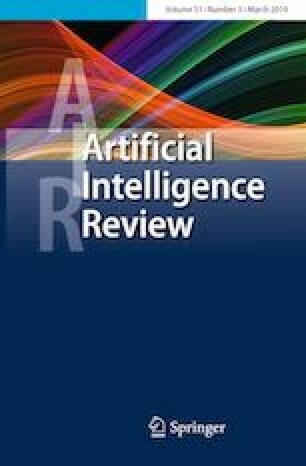 This paper presents a survey on the state-of-the-art spectrum allocation algorithms based on reinforcement learning techniques in cognitive radio networks. The advantages and disadvantages of each algorithm are analyzed in their specific practical application scenarios. Finally, we discuss open issues in dynamic spectrum allocation that can be topics of future research. This work was supported in part by special funds from the central finance to support the development of local universities under No. 400170044, the project supported by the State Key Laboratory of Management and Control for Complex Systems, Institute of Automation, Chinese Academy of Sciences under Grant No. 20180106, the science and technology program of Guangdong Province under Grant No. 2016B090918031, the degree and graduate education reform project of Guangdong Province under Grant No. 2016JGXM_MS_26, the foundation of key laboratory of machine intelligence and advanced computing of the Ministry of Education under Grant No. MSC-201706A and the higher education quality projects of Guangdong Province and Guangdong University of Technology.